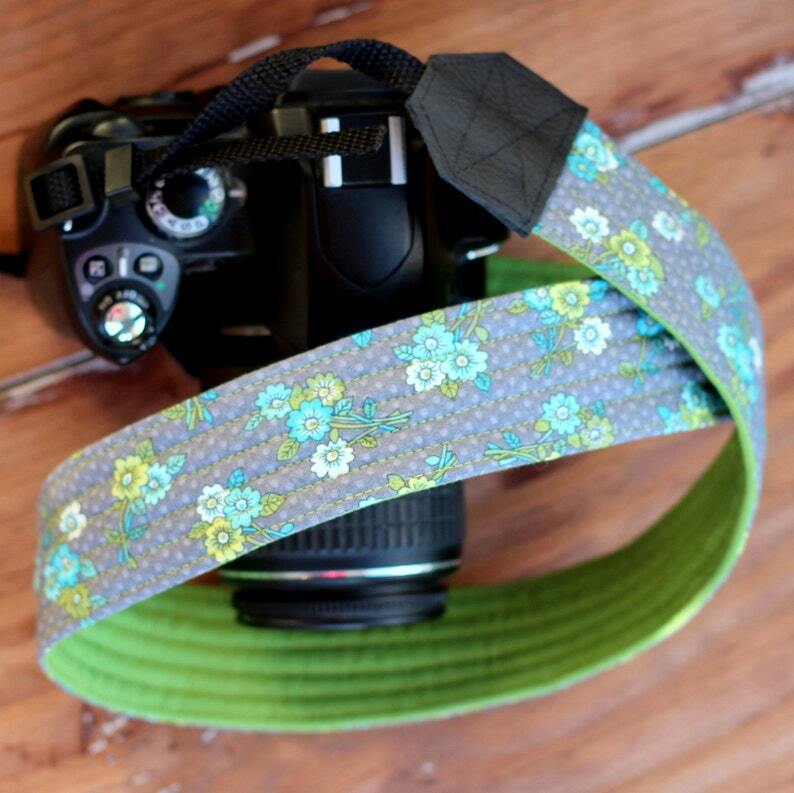 Show your personality with this gorgeous gray floral and green cotton reversible dslr camera strap. This strap replaces that plain old black one that came with your camera, giving you both a fashion accessory and a functional piece of camera equipment! One side features a rich gray cotton with green, blue, and white, delicate flowers. The reverse side is a solid apple green Kona cotton. The end pieces are crafted from black leather. 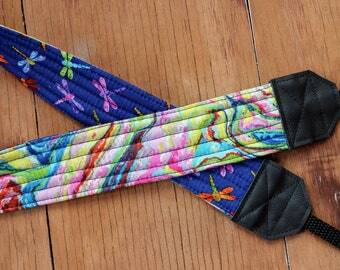 The camera strap is lined for comfort when wearing. It is crafted around strong webbing to create a strap that is comfortable, won't stretch, and is sturdy enough to last for years. Snug, high quality end slides and keepers included.